Major disruptions in the CPG and retail industries are driving the importance of high quality product information. Gladson, the leading creator of images and label content that enables digital and in-store commerce for consumer goods clients, today strengthened its position by announcing two new executive hires. Rahul Miglani was named Chief Technology Officer for Gladson, responsible for charting the company’s future technology roadmap while accelerating existing solutions development. He joins Gladson from technology firm West Monroe Partners, where he served as Strategic Technology Services Consultant. Prior to that, Miglani held Chief Technology Officer roles at Market6 and AdGooroo, a Kantar Media company. At Market6 he led a product-focused transformation that provided customers with analytical solutions to improve operations in retail merchandising, category management, inventory management and collaborative management. Chris Barnes was named Gladson’s Senior Vice President, Strategy & Solutions, responsible for working closely with clients to innovate and deliver new solutions to the market, developing industry partnerships and enhancing Gladson’s product roadmap. He joins Gladson from Market Track, where he spent the last five of his eight years as the SVP of eCommerce Solutions, leading their eCommerce business. He also has held various strategic account management positions at both Market Track and Corporate Executive Board (CEB). These strategic additions follow the company’s recent brand refresh, undertaken to reinforce Gladson’s commitment to clients, its increased investment in technology, and reorganization for speed and flexibility. 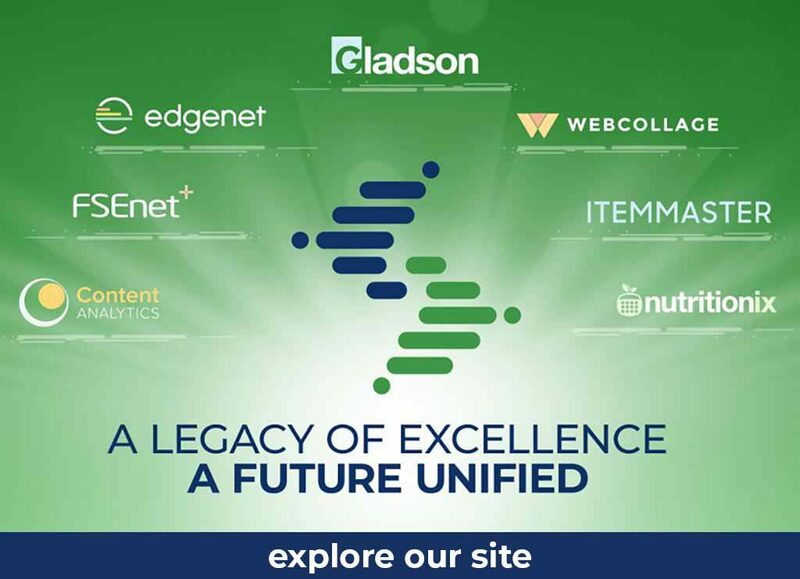 In the past four months, Gladson has introduced its 2.0 upgrade of the Gladson Delivery Network, which averages more than 16 million product content downloads every year; launched its upgraded API for Walmart’s eCommerce service; expanded its capabilities for capturing, creating and distributing product content; and added myBrands digital asset management functionality to enable retailer access to approved brand marketing materials. “We will continue to develop solutions based on ‘smart standards’ designed around industry guidelines, that also allow our clients to customize their offerings to provide a truly personalized solution to their shoppers,” said Salay. Salay cited the firm’s digital asset and product information management systems as providing efficient end-to-end solutions across the brand and retailer ecosystem, including supply chain activities, retail store layout, category/space management programs, eCommerce optimization and hosting of rich media for marketing and merchandising. Gladson’s enterprise-ready digital content feeds eCommerce, space planning, category management, store optimization, marketing, advertising, supply chain, market research, mobile applications, master data management and other critical business processes.